Garbage Truck Accidents | Nashville Trucking Injury Lawyers The Law Offices of John Day, P.C. A negligent driver -- The driver's negligence can take many forms including speeding, driving the garbage truck while under the influence, texting while driving, etc. Defective equipment -- Under Tennessee product liability law, a garbage truck manufacturer may be legally responsible for an accident if they supplied equipment which was either defective or unreasonably dangerous. 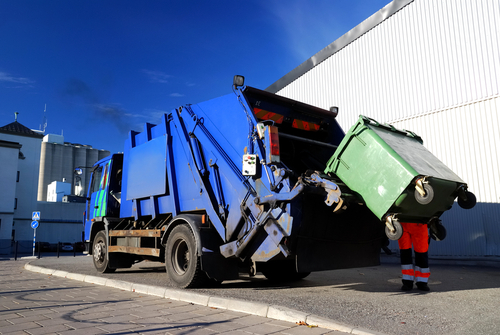 Poor maintenance -- All components of the garbage truck must be properly maintained by the trash company. For example, if the garbage truck accident was caused by brake failure, the garbage truck company may be responsible. Falling Objects -- Improperly secured objects which fall from the garbage truck can create a serious road hazard for other drivers. Pedestrian and Bicycle Accident -- Most garbage trucks are not equipped with back-up cameras so they present a special hazard to pedestrians and bicyclists in their path. If you or a loved one has been involved in a garbage truck accident, our award-winning lawyers can help you get the compensatory and, if appropriate, punitive damages you deserve. At the Law Offices of John Day, our garbage truck attorneys conduct an in-depth investigation into the cause of your accident so that we can hold all at-fault parties accountable for your losses. We will obtain and analyze the driving history of the garbage truck driver and the maintenance records for the vehicle, interview witnesses, inspect the accident scene, hire accident reconstruction and engineering experts (if necessary), and much more to protect your rights. If you would like to discuss your garbage truck accident, contact us online or call us at 615-742-4880 or toll-free at 866.812.8787. One of our garbage truck lawyers will sit down with you to discuss your case, answer your questions and advise you of your rights. If you are unable to come to our office, we will gladly come to your home, the hospital or another location of your choosing. The initial meeting is free and without obligation. And because we only get paid if we win and we advance all case expenses, you are never out of pocket any money to pursue your garbage truck accident.